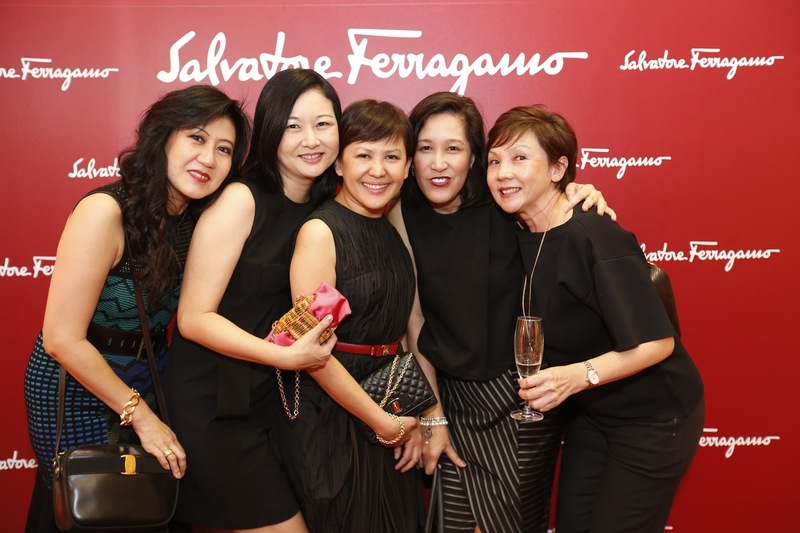 Posted on August 7, 2015 December 2, 2015 by Michelle L.
It was a glittery event in the cosy Salvatore Ferragamo store at Level 3, Pavilion. Much was abuzz because of one man – Giuliano Bartolozzi. He was specially flown in from Italy to give us all a demonstration of how Ferragamo’s iconic Varina and Carla shoes. The event also sees a stellar handful of KL’s well-heeled crowd, drawing 150 guests. In true Italian style, cocktails of wine and champagne were accompanied by various aperitivo platters. The store itself was also decked out full with the latest collections, drawing oohs and aahs from guests. I myself was very much drawn to a certain snakeskin bag on display. A public exhibition was held on Level 3, Pavilion Kuala Lumpur from the 29th to 31st of July. “The Art of Shoemaking” was an eye-opening experience for many, and a chance for them to appreciate the creative tradition of Salvatore Ferragamo, the great innovator who revolutionized women’s shoes with innovative designs, technology and materials. It was definitely an event that will not be forgotten so soon.